The American infrastructure is crumbling, it is not secret and has never been a secret for a generation. As a case in point, do you remember when the I-35 bridge going into Minneapolis collapse and sent many to their death? Every facet of our lives, which connected to public infrastructure is crumbling. Mike Adams recently exposed how we are ingesting heavy metals in our food. The examples are ubiquitous when it comes to a crumbling infrastructure being culpable in the premature deaths of tens of millions of Americans. We entrust our public leaders with their Constitutionally sworn fiduciary duty to protect the electorate. How long have our national officials known about the crumbling infrastructure, such as the massive amounts of lead in our drinking water? Congress has been holding hearings on this going back to the 1990’s. This means that every President from HW Bush to Obama has failed in their fiduciary duty to the people of the United States to keep them safe from foreseeable and preventable health calamities. The failure for anyone not to take action when a danger is known, is called depraved indifference. All over this country, and on a daily basis, is referred to in the law as DEPRAVED INDIFFERENCE. Depraved indifference, when it results in the preventable death of a person(s), can be used sustain an indictment for manslaughter 1, or Murder 2. As a case in point for this depraved indifference with regard to our elected officials failure to act and/or war the public of a health crisis, I point to our present water crisis as a prime example of any of hundreds of such examples. 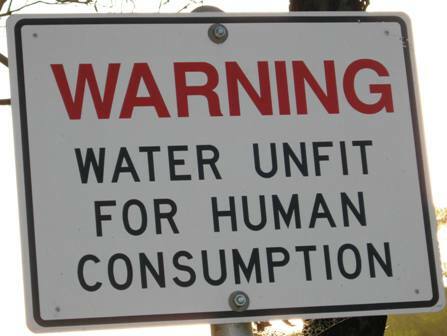 Are Americans are being systematically poisoned through the water we consume? The tap water contains deadly lead contamination in 42 out of 50 states. Our leaders tell us that we can handle so many parts per million of lead in our water. Who are they kidding? Any amount of lead has a toxic effect. This is an excuse for our leaders to continue to disregard the health of the general public, while continuing to cater to their special interest supporters. Many will say that we can just use bottle water. What a joke! The bottled water we consume is filled with tap water containing, of course, the deadly lead. 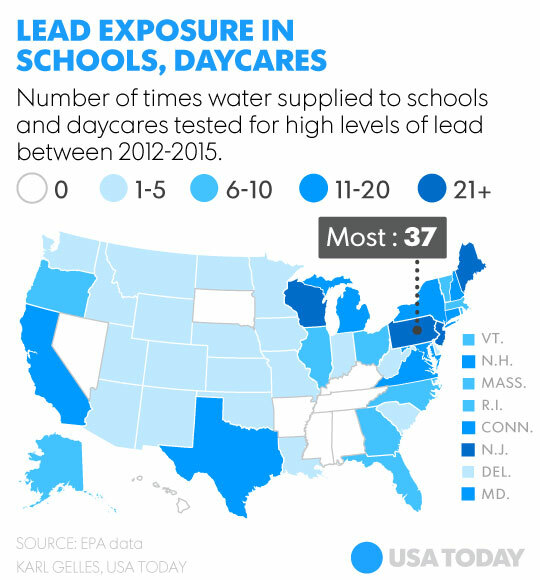 The following chart provides a breakdown of lead in the tap water in all 50 states. There are very few places where you are not consuming dangerous lead poisoned water. The white states have virtually no lead in the water. If you live in Nevada, Arkansas, Mississippi, Alabama,Tennessee, South Dakota, Hawaii and Kentucky, you more than likely have water that safe to drink. If you live in the other 42 states, you are in danger. How long has the Obama administration known about this? Some of the American people will reason that they will only drink bottled water. Not so fast, in many cases, bottled water is worse for you that drinking tap water. Also, in many cases, bottled water is tap water, recycled water. You have to watch the following video on the acidic water that some name brands are selling in bottled. It is proven the PH levels are making you sick and keeping you sick on a daily basis. I implore you to watch and share this video so everyone can see these shocking results. Citizens in 42 states are systematically being positioned and set up to contract cancer, diabetes and any other number of life-threatening health conditions. And this is being done all under the watchful eye of our elected officials. Forget the EPA, FDC and CDC, they are not your friend. They are not protecting us from this scourge of poison water that we are consuming. “East Coast Man”, from the video, is an excellent researcher and makes the systematic poisoning of America crystal clear for all to see in this video. You could alway trap rain water and drink that, correct? Not exactly, In many states (e.g. Colorado and Washington) trapping rainwater is prohibited and is punishable fines and imprisonment. And yes, people have gone to jail for trapping rainwater. This prohibition has been ushered in by politicians who receive federal grant money to implement Agenda 21 policies. The Obama administration spends no money on revitalizing our infrastructure, but they have enough fiat cash to send Iran $150 billion dollars for nuclear weapons deal that puts every American in danger. Perhaps if we import more Muslims, Obama will find the money to work on our infrastructure as I am sure he would move to protect his own. Have you noticed America, whether it is free trade agreements, health care, reasonably priced pharmaceuticals and drinkable water, our corporate controlled government would prefer to flush the money down the toilet than to give it to the American people, regardless of the cause. Do the American people have a target on their back? How do the criminal elite benefit? They are creating chronic health conditions at earlier ages that their pharmaceutical and managed health care companies are going to profit from as Americans are systematically exterminated by these soft kill tactics. It is a great business plan and your health has been pledged as collateral. Obama, and Obama 2.o (Clinton) have money for moveon.org, Black Lives Matter, etc., to engage in riots at Trump rally’s, but there is no money to protect for the middle class. Obama phones, yes. clean drinking water, no! And people wonder why I am voting for Trump. Cruz, Sanders, Kasich and Clinton have all been part of this criminal cabal that has acted with such purposeful depraved indifference toward the American people.